Here we are already at the last day of winter. The day starts with a witheringly cold morning. We wake to find ourselves cold even under the sheets in our bed. There is a very healthy frost laying all around. No point in trying to water the garden too early, as nothing will work out there. I have had this last week ‘off’ to try and catch up on jobs that have needed attending to for some time. Everything got a bit neglected while I concentrated on getting my book printed and my big exhibition up at Watters Gallery. The show is in its final week now and will come down on Saturday. It’s a really good show, if I can say that about something that I have done myself. I’m pleased with it. 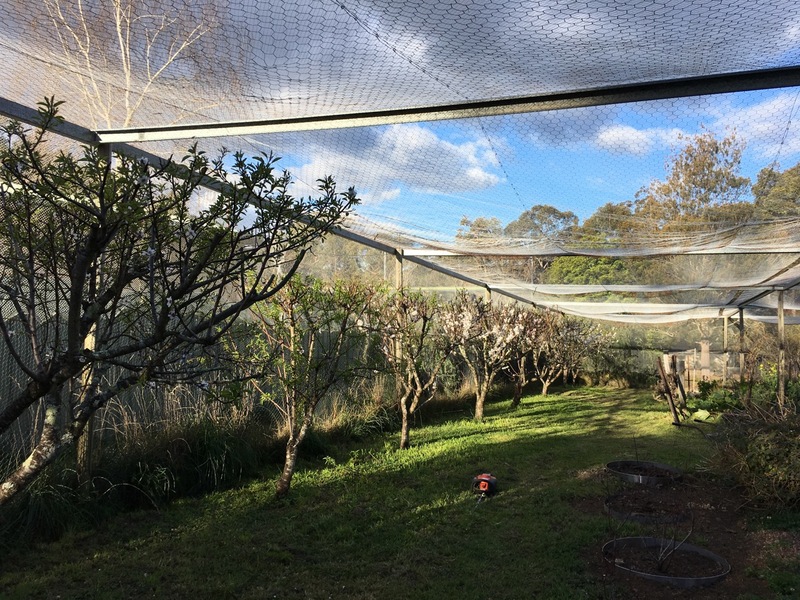 It couldn’t have been completed or have been as successful without the total support of my partner Janine King, as well as all the help from all the people that I collaborated with over the 15 years of the research. Thankyou Janine! On Monday, I will start to weld up my 300th kiln! I have one more big kiln booked in after that, with deposit paid, to be welded before the end of the year. I will then be 66 years old and it’s time to retire from building the bigger, heavy kilns. I will continue to make the smaller, lighter, monocoque stainless steel framed ‘dual-fuel’, wood fired and gas fired kilns for a while. 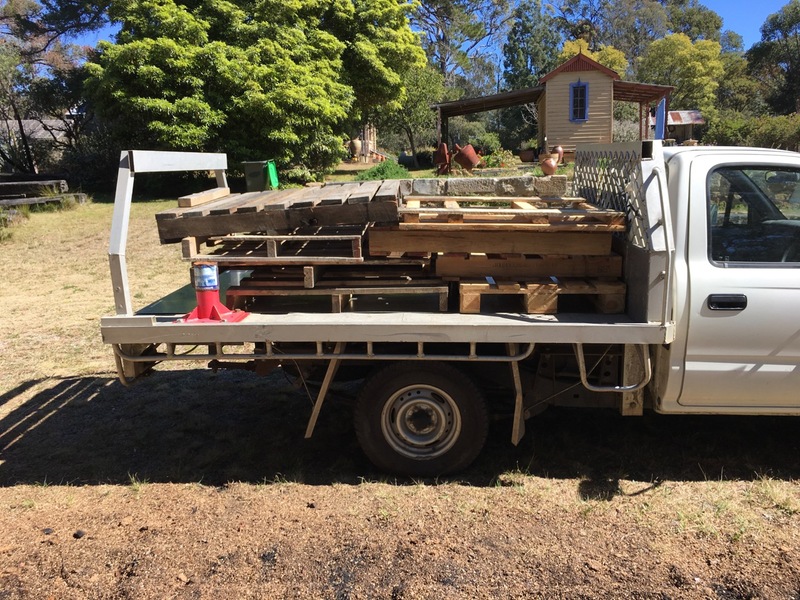 I went down to the steel yard to buy the required steel sections, so that I will be ready to start work on time next week, and while there noticed that they had a load of used pallets that needed to be taken away. As I had the truck and all the steel was up on the racks. I decided to fill the tray with pallets. These can be broken down into small, thin sections that are very good for firing the small ‘dual-fuel’ kilns in wood fired mode. 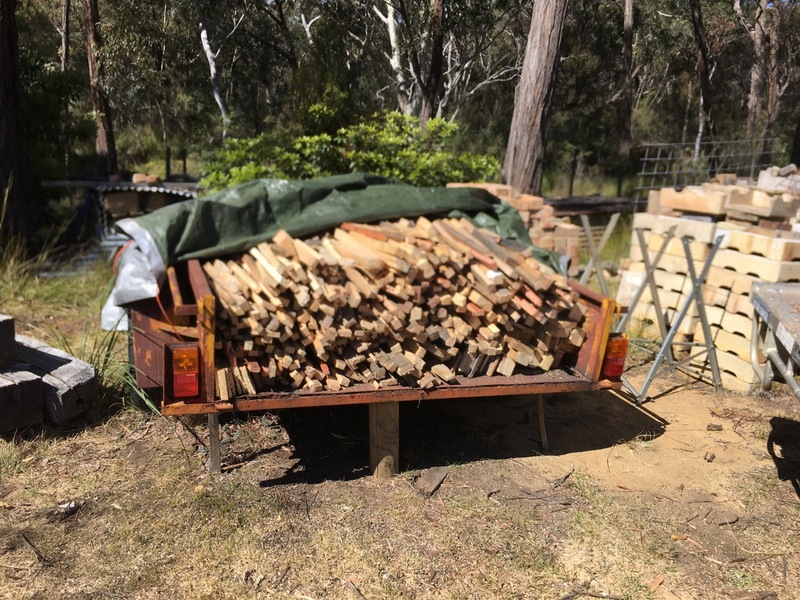 After I get all the steel off the carry racks, I take the truck to the kiln firing area and unload, then cut them all up with the chain saw, into shorter, straight, sections. 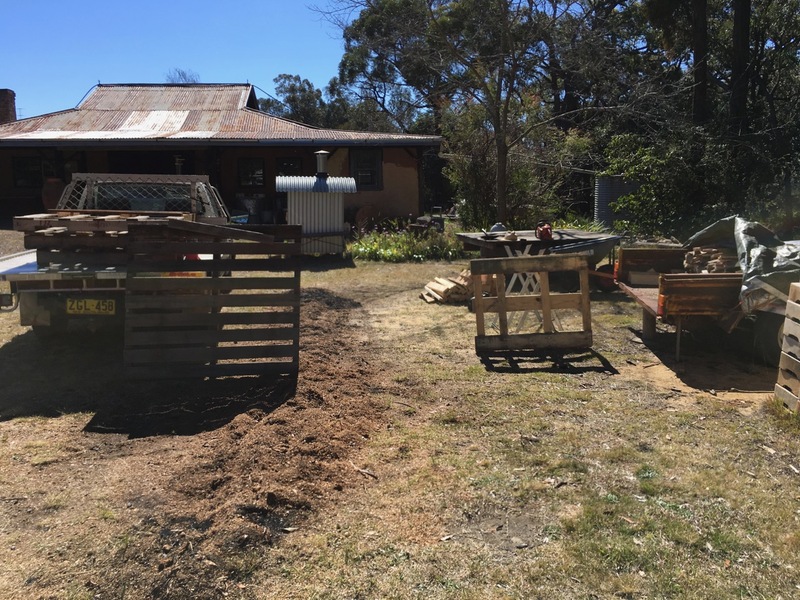 These are then taken to the wood shed where they are split into thin pieces and loaded back onto the truck and stacked into the trailer standing at the edge of the raku firing space, ready for use in the next 4 low temp wood firing workshops. We have almost enough wood in stock now. It will need just one more day or two to collect enough to see us through to October and the end of the firing season. 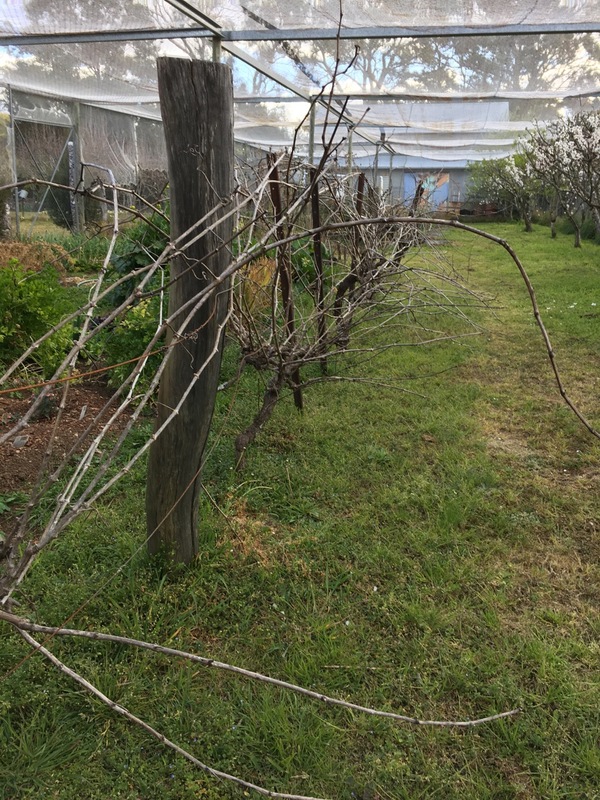 During this last week ‘off’, I have also pruned the peaches, almonds and shiraz grape vines. All these jobs have needed doing for some months, but now is their time. 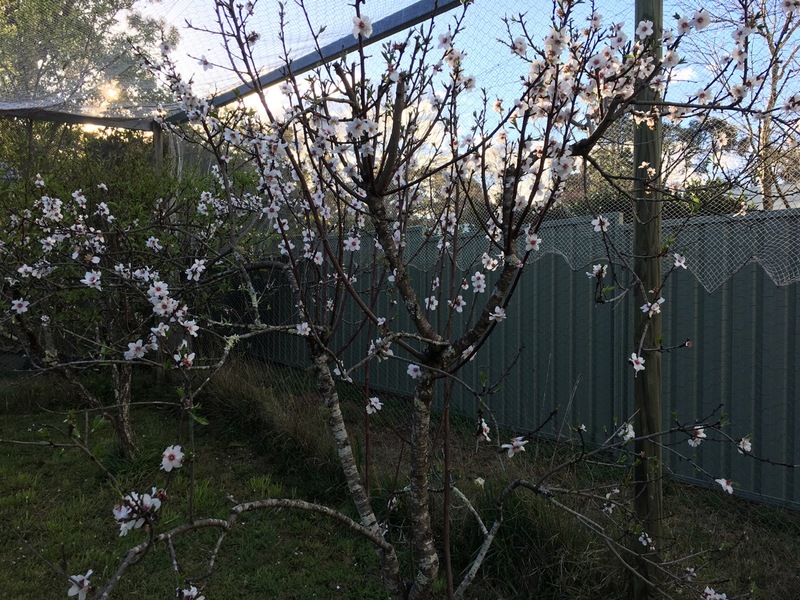 I also need to be getting stuck into the cherry trees, but time is running out. In small moments each day at lunch time, I get up on the Old School House roof and fix the flashing, repair the fascia and paint, prime, and top coat a series of rusty patches where pine needles have collected over the years and caused the galvanising to corrode. I notice these rusty patches every time I get up on the tall extension ladder to clean the gutters. This job can’t wait another week, so I manage to fit it in. One other job that has been waiting almost a year now, is the water tank on the chicken shed roof. 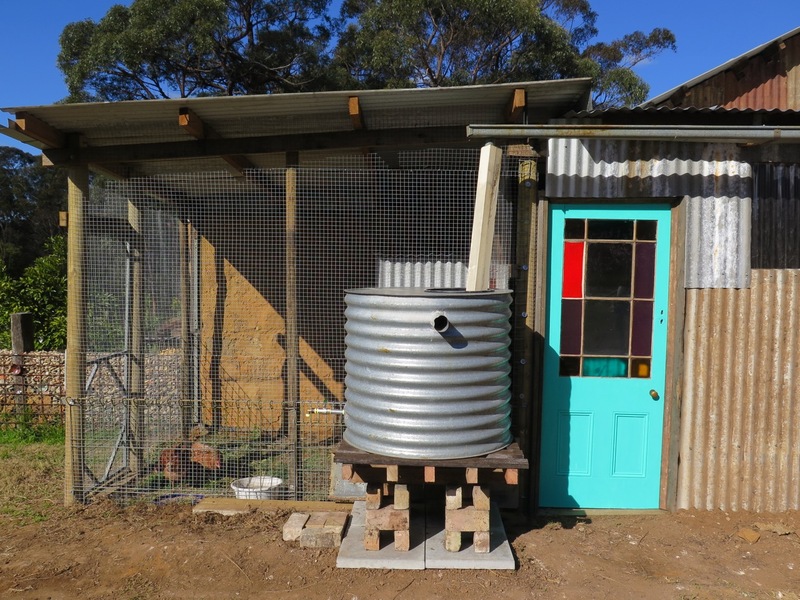 I was given this galvanised water tank for free, because someone? Built it very badly and put the water inlet filter hole in the base, rather than the top. Useless! i managed to silicone and pop rivet a gal patch over the hole and make a new hole in the top where it belonged. All too easy, but when it filled up with water, my patch held well, but there were 3 other places where it sprang little spouts of water leaks. It’s been very dry , with no rain for several weeks now. So, I take the tank down off its stand and dry it out completely by cutting the entire top out, so that it can fully drain and get sufficient air movement to completely dry out. When it’s dry, I can crawl inside and brush it out and clean it well, then apply 4 tubes of silicone rubber to all the internal joints and seams. That should do it! i use up a lot of small off-cuts of galvanised steel sheet to make a flange on top of the tank and replace the original lid, all pop-riveted back into its old place. No one will ever know! 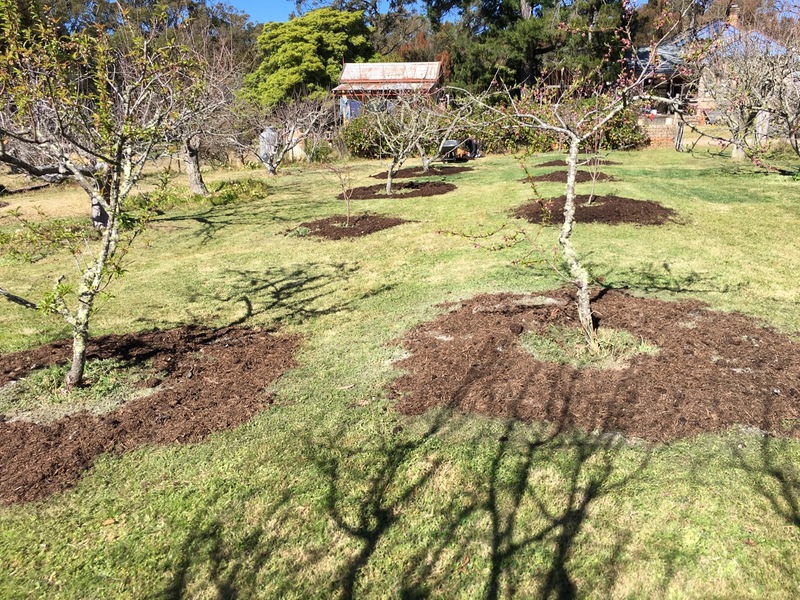 The last job this week, which we have tackled each morning and evening, is to wheel barrow 5 tonnes of mushroom compost into the orchard and spread it around all the stone fruit trees. 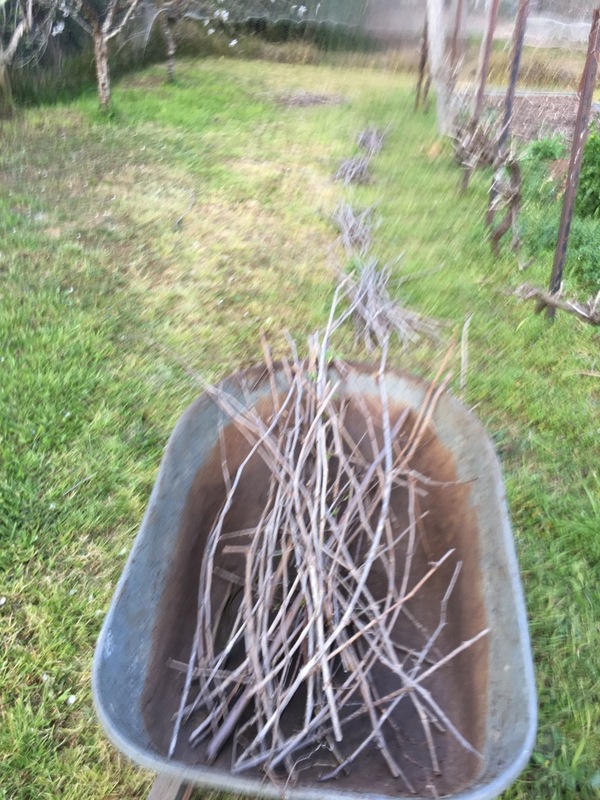 I started the week by mowing, then spreading wood ashes from the fire all around the drip line of the trees. 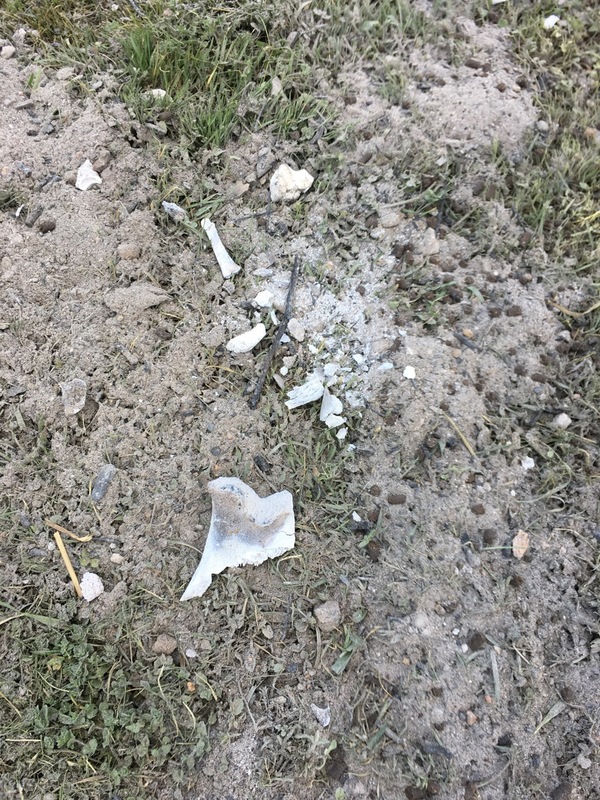 I find that all the old marrow bones from the stock have been calcined in the fire and are now reduced to a soft crumbly, powdery state. I spread it all evenly around. 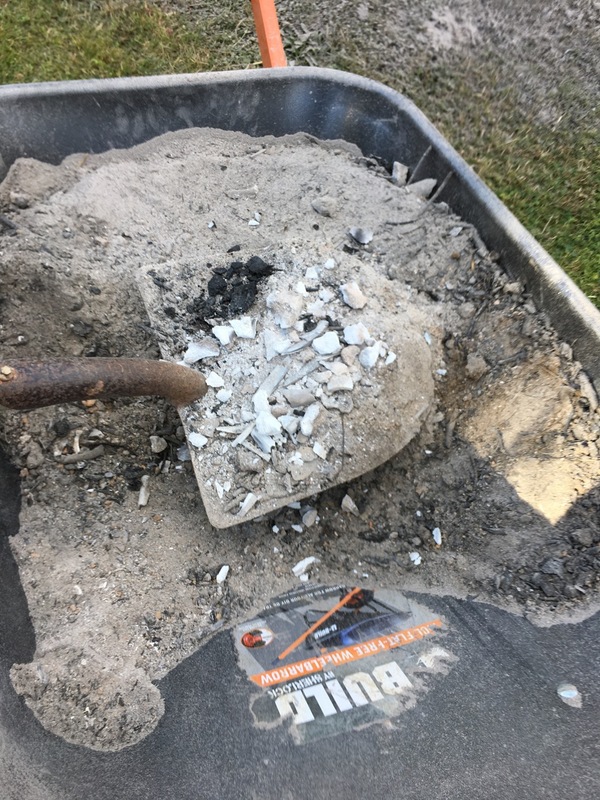 The wood ashes will provide potassium, the calcined cow bones will provide phosphate, and the chicken manure that I add will provide the nitrogen. 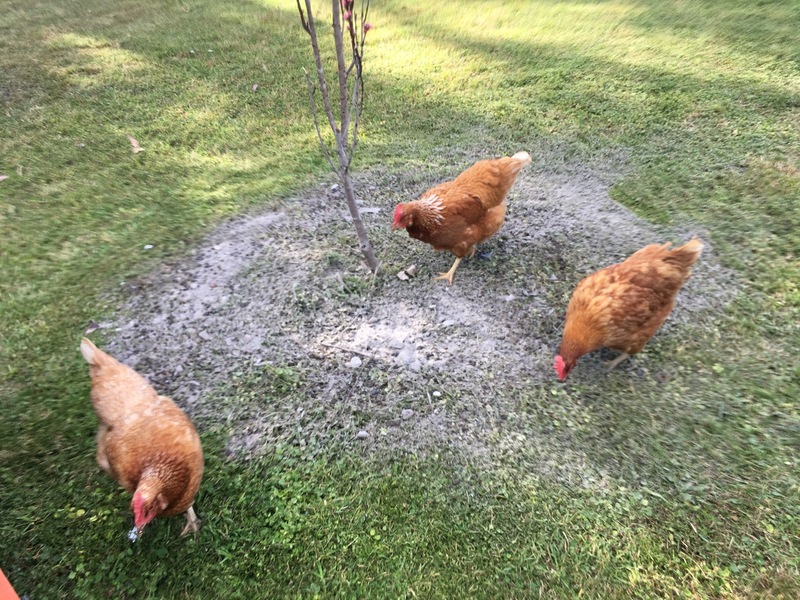 Its a home made, balanced diet, of naturally produced fertiliser for the fruit trees. It just couldn’t be more natural and organic. 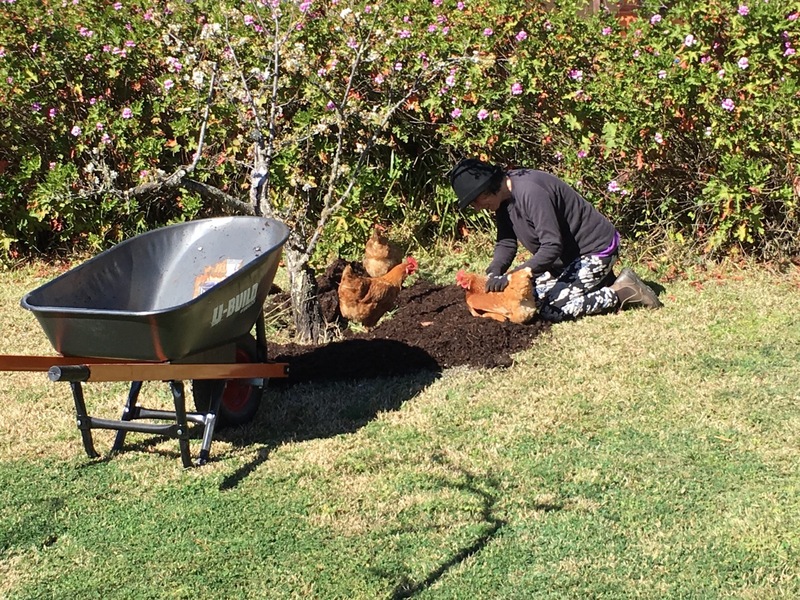 The chickens come and help to spread the ashes and compost and get a cuddle for their work efforts from Janine. 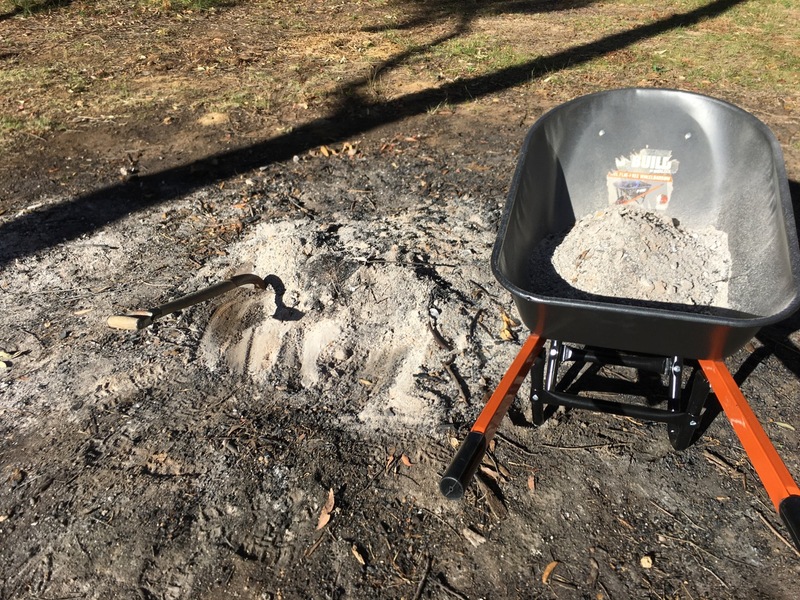 This entry was posted in In the garden, In the pottery, maintenance, self-reliance by hotnsticky. Bookmark the permalink.